BRYAN EATON/Staff photo. 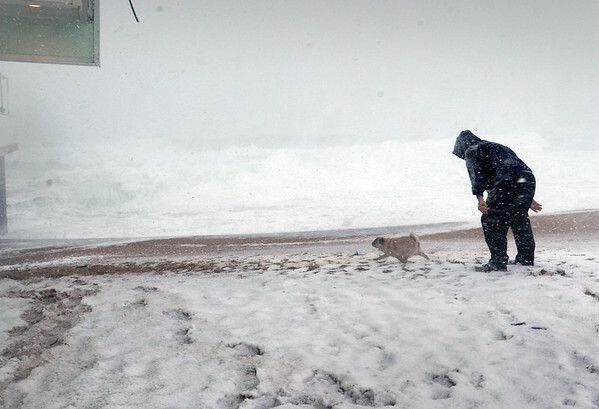 Greg Harden of Salisbury with his dog Oliver at Salisbury Beach as waves crash ashore at Salisbury Beach Center during high tide Tuesday afternoon. The waves did not breach over to Broadway.